The Game Show Network is going to try to figure out the Mind Of a Man with their new game show. From the guy that brought us Flavor of Love and Bret Michaels: Life As I know it comes a new TV show in witch two female contestants trying to figure out what men really think with the help of a celebrity panel. 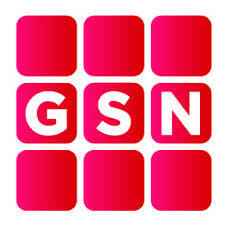 GSN has ordered 40 episodes of the show and they are now holding auditions for male and female contestants. This is a great opportunity for any aspiring talent to get their face recognized by being on a popular television show. Do not miss out your chance apply now. Mind Of A Man will premier sometimes in late 2013. Questions on the show have all been previously asked and answered by a survey of 100 men. Over three rounds, the contestants will try to figure out the correct answers with the help of the celebrities who give what they think are the answers based on their previous experience. The successful contestant could walk away with the grand prize. Mind Of a Man is set to be hosted by the hilarious stand up comedian DeRay Davis and the casting directors are now holding auditions for male and female contestants. If you are interested in auditioning for the game show please submit your information along with a recent photo and contact information. Keep checking back often for more information on casting dates, times and locations and as always leave us a comment and let us know what you think about the show idea.